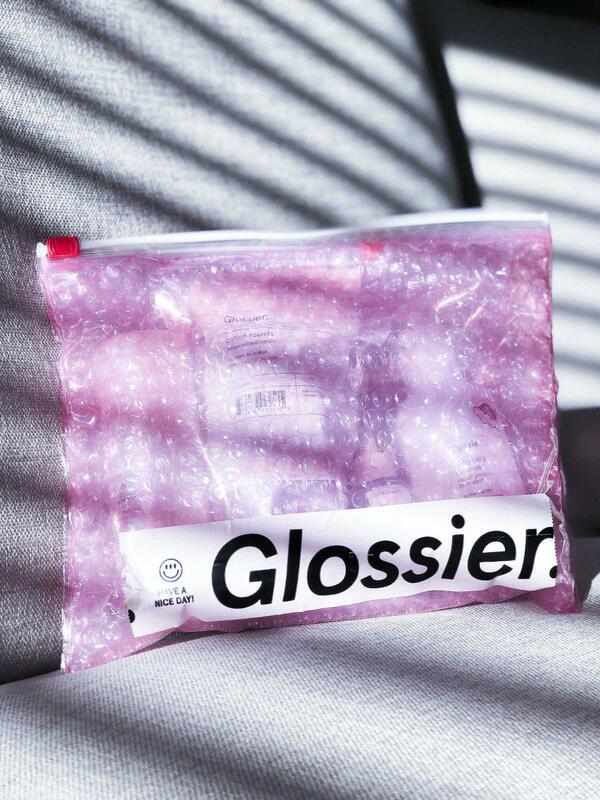 I know that I have a bit of an obsession with Glossier, I mean by now who doesn’t? but I just can’t help it, the products are really that good. The basic yet insta-worthy products are just what my skin needs and I finally have a routine down that my skin seems to be liking. 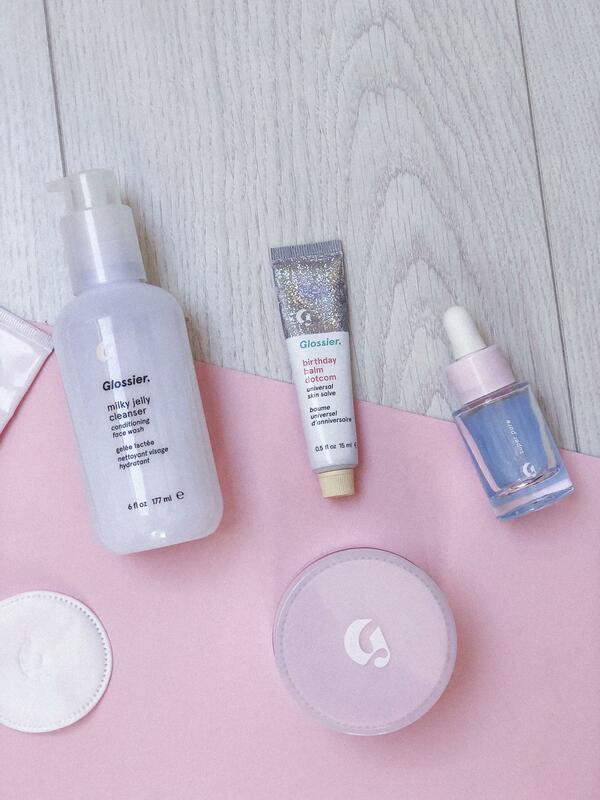 I know Glossier doesn’t work for everyone but for my skin, it’s just want I need to clear up my redness, texture and pesky blemishes. 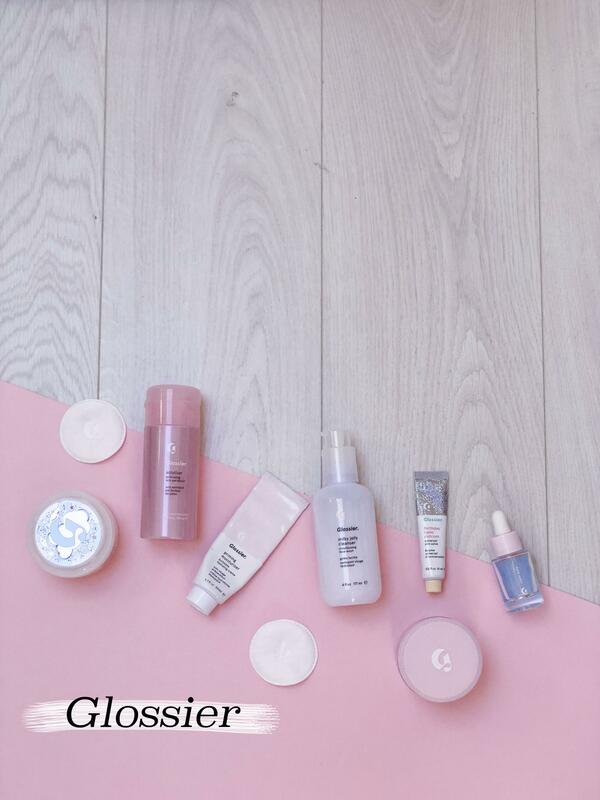 The Milky Jelly Cleanser is fast becoming a I-can’t-live-without-you product as I am already onto my second bottle. 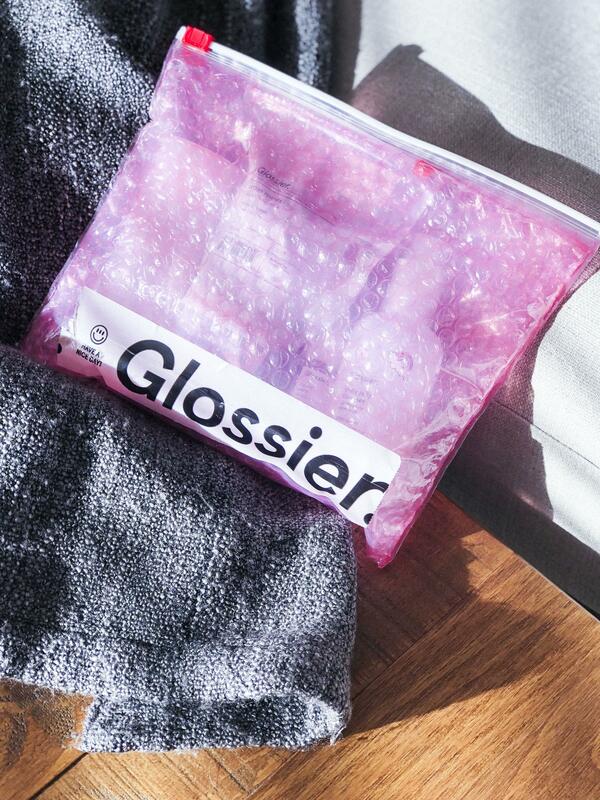 If you haven’t already heard me rave about it, it’s a gel cleanser with the most dreamy texture, which is perfect for adding moisture straight back into the skin instead of stripping it. I typically use this in the mornings, but I have started to use it in the evenings as part of a double cleanse routine, which works just as well. 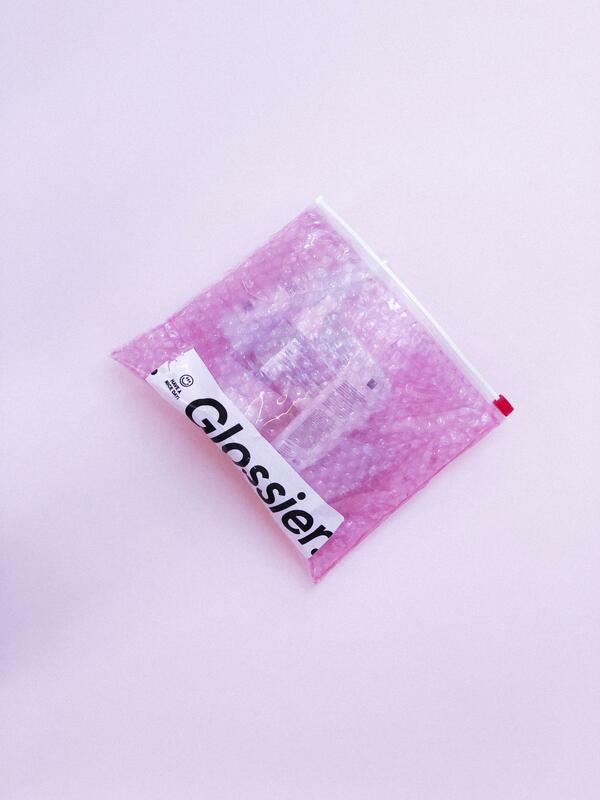 A new and very exciting new release from Glossier is Solution, an exfoliating skin perfecter. I use this twice a day after cleansing and so far I am really liking it. I’ve been using it for just over a week and my redness has started to go down and skin texture is a lot more even. Solution contains 3 active acids, AHA, BHA and PHA, these help to exfoliate the dead skin cells on the top of the skin, allowing new and healthy skin cells to come through. To help fight those pesky blemishes I have also been using the Super Pure Niacinamide and Zinc serum, which is targeted at stressed out skin. I use the light water-based serum on any blemishes to soothe the redness. I use this serum at night and switch it out for a hydrating serum in the day time. As for moisturiser I typically use the Priming Moisturiser in the mornings as its great under makeup and it can be layered up for extra hydration. In the evenings I reach for the Priming Moisturiser Rich, it’s a deeply moisturising luxurious cream that helps to reinforce the skin barrier and lock in moisture over time. 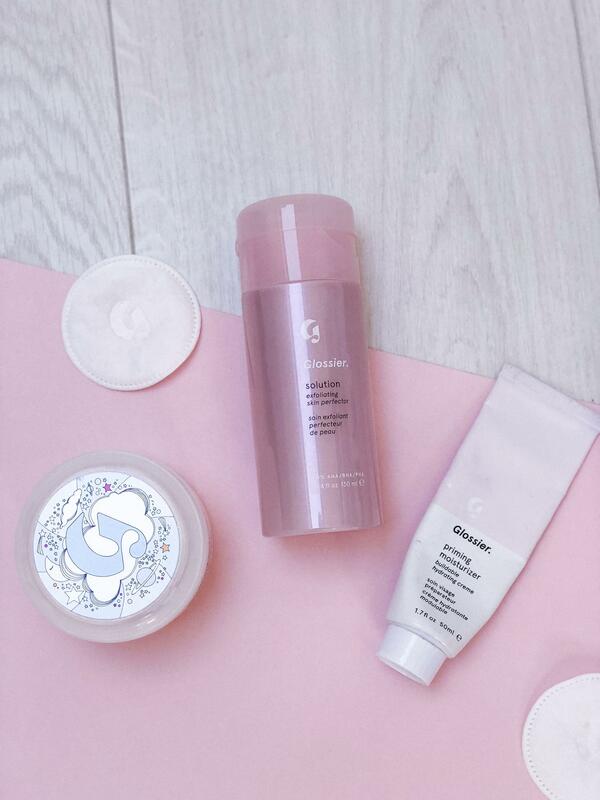 My favourite product from the line-up, Moisturising Moon Mask. It’s the most intensely hydrating treatment thats packed full of almond oil, plant-based squalene and hyaluronic acid. I use this most nights to hydrate and soothe the skin, it contains liquorice root, lemon fruit, honey and aloe to help brighten and sooth the complexion. The Balm Dot Com has become a cult classic for its hydrating and multipurpose properties, the lip and skin salve treatment nourishes and repairs dry skin. I have the flavour birthday because it smells like cake and has a slight shimmer to it. I use it on the lips most nights as a hydrating mask and also keep it in my bag for touch-ups throughout the day. 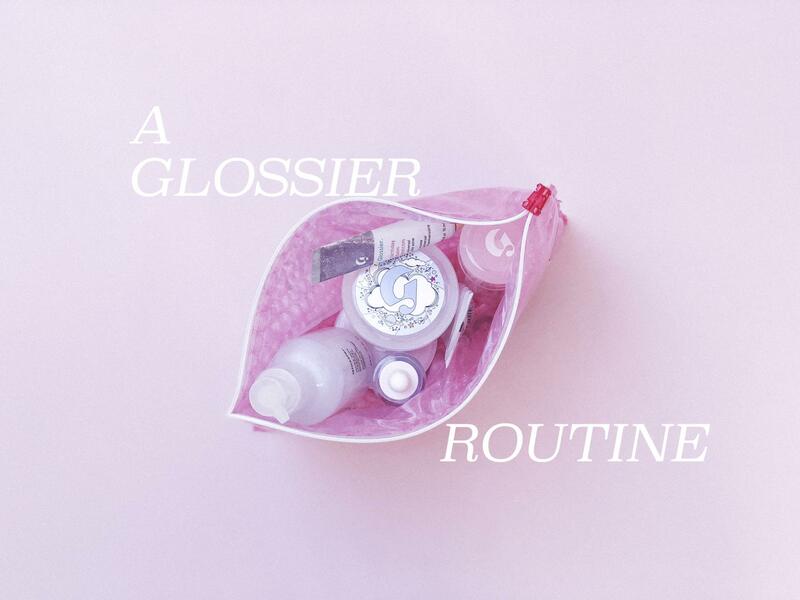 Have you got a Glossier routine? All I need now is an eye cream from them and my routine will be complete.